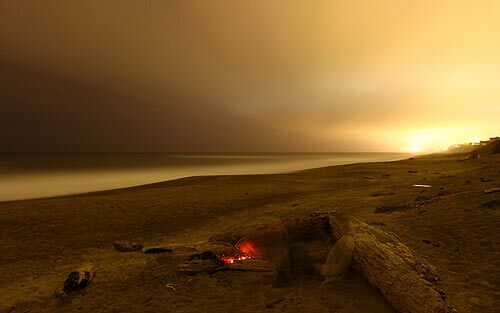 (Depoe Bay, Oregon) – Between the hotspots of Lincoln City and Newport sits this wonderful wonder – a tad overlooked for all the wrong reasons. 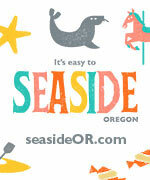 What are the best beaches of the Depoe Bay area, you ask? 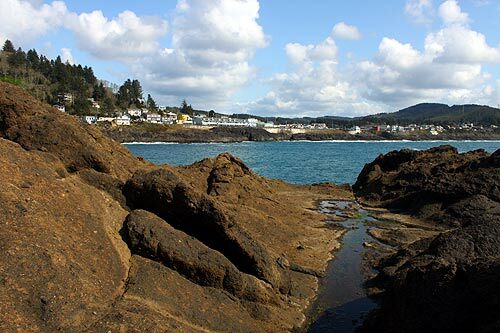 That's a bit of a trick question since Depoe Bay itself is all rocky cliffs and no sandy beaches – but there are sandy wonders nearby and those cliffs are likely way more interesting than many soft stretches. It all depends on how you define “beach,” really. 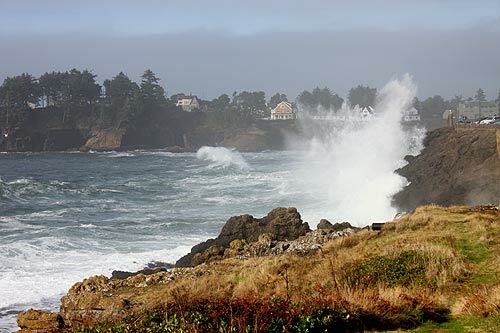 For actual strands there are Lincoln Beach and Gleneden Beach, just a couple miles north of Depoe Bay. But stick to the town's rocky basalt ledges and you'll find some of the most interesting, dramatic views around – not to mention hidden spots that are chock full of all sorts of surprises and a nice getaway from crazed crowds. 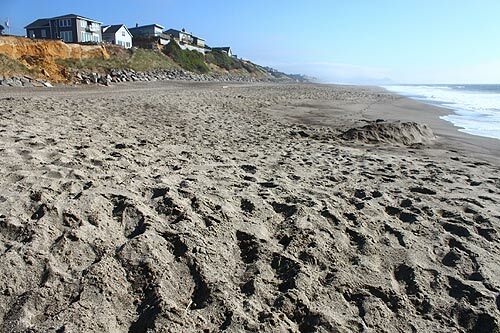 Wander north to Lincoln Beach, about two miles, and you get these kind of unusual stretches of sand full of rather large, coarse grains. 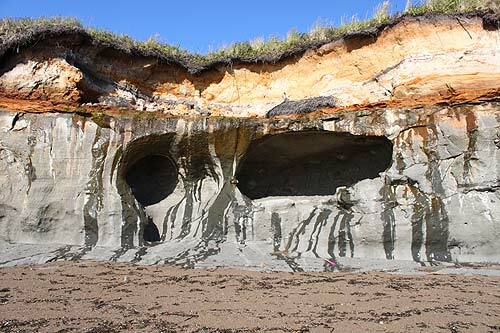 This includes the stunning Fogarty Beach, where some trippy caves sit at the top of the cliffs. From Fishing Rock State Park northward begins Lincoln Beach, eventually morphing into Gleneden Beach about a mile down the road. Both have a fair amount of large, coarse grains, though not as much at Fogarty. The real fun here is the slightly unusual tide line. The beach slopes rather abruptly into where the water meets the sand, which causes the waves to come in fast and hard - actually a bit alarmingly so – and then suddenly fizz out quickly. They become immediately tamed and come in softly at the last second, after appearing to roar in fast as if they're gunning for you personally. It's awfully engaging. Depoe Bay itself is all rocky ledges – and gleefully so. 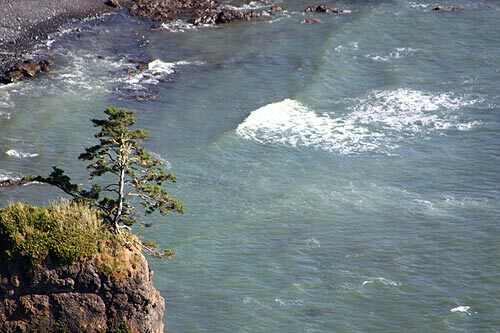 The seawall here presents one of the coolest natural attractions on the entire Oregon coast: the spouting horn. Under the right conditions, it shoots off sea water into the air as high as 30 feet and can spray traffic. These ledges are precarious to walk on, so stay away from the edges. At the very northern end of town sits a hidden rocky cliff access behind Sunset Ave. This is one of the most spectacular and interesting beach/cliff spots on the whole of the Oregon coast. Sometimes you can feel the waves rumble through the rocks here. Another even more hidden set of cliffs, full of engaging labyrinth-like climbing opportunities, sits at the south end of town at South Point St.
Also in the area: insanely wowing sights from the cliffs of Boiler Bay, Rocky Creek Recreation Area, Rodea Point, and the soaring viewpoint of Cape Foulweather – some 500 feet above the ocean. This is a place where you'll definitely say “forget the long walk on the beach – let's check out the cliffs.” It's one section of Oregon coast that's sadly a bit overlooked because it isn't a sandy beach, but it's among the most mesmerizing along this shoreline. 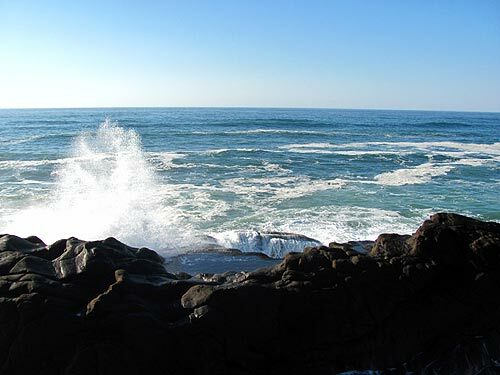 See the Depoe Bay Virtual Tour, Map for directions, more details and milepost information.